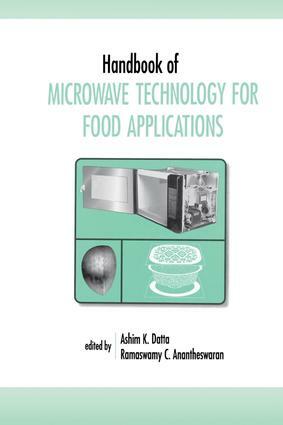 "Integrates principles of electromagnetics, dielectrics, heat and moisture transfer, packaging, solid mechanics, fluid flow, food chemistry, and microbiology to provide a comprehensive overview of microwave processing in a single accessible source." Part 1 Fundamental physical aspects of microwave absorption and heating: electromagnetics - fundamental aspects and numerical modelling; electromagnetics of microwave heating - magnitude and uniformity of energy absorption in an oven; dielectric properties of food materials and electric field interactions; fundamentals of heat and moisture transport for microwavable food product and process development. Part 2 Chemical and biological changes due to heating: generation and release of food aromas under microwave heating; bacterial destruction and enzyme inactivation during microwave heating. Part 3 Processing systems and instrumentation: consumer, commercial and industrial microwave ovens and heating systems; measurement and instrumentation. Part 4 Processes at industry and home: microwave processes for the food industry; basic principles for using a home microwave oven. Part 5 Product and process development: ingredient interactions in microwave heating; packaging techniques for microwavable foods. Part 6 Safety: safety in microwave processing.